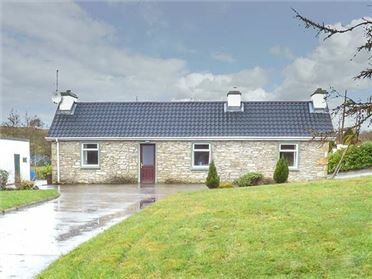 Corn Crake is a detached bungalow on the outskirts of the small town of Louisburgh, County Mayo. The cottage sleeps seven people and has two double bedrooms (one with an en-suite), a family room and a family bathroom. Also in the cottage are a fitted kitchen with a dining area and a sitting room with an open fire. 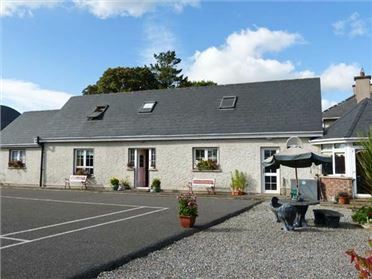 Outside is off road parking and a lawned garden with outdoor furniture and a barbecue. 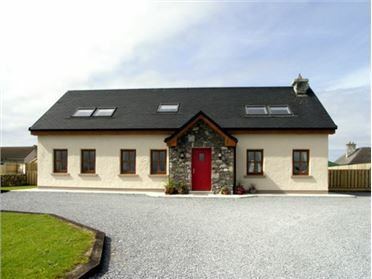 With superb mountain views and being just a short walk from the beach, Corn Crake is a lovely family holiday cottage in the west of Ireland. Oil central heating with open fire. 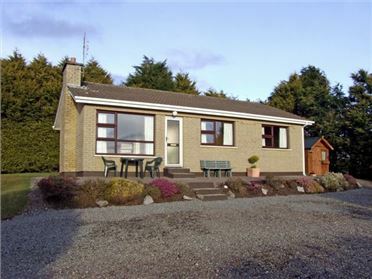 Electric oven and hob, microwave, fridge, freezer, washing machine, tumble dryer, dishwasher, TV with Saorview, DVD, CD/radio, WiFi, selection of books and games. Fuel, power and starter pack for fire inc. in rent. Bed linen and towels inc. in rent. Cot and highchair. Ample off road parking. Front lawned garden and rear patio with furniture and BBQ. One well-behaved dog welcome. Sorry, no smoking. Shop and pub 1 mile. Beach 10 mins walk.